A circular Justice Department sign from Pete Travis' 2012 sci-fi action film Dredd, an adaptation of 2000AD's cult comic series Judge Dredd. 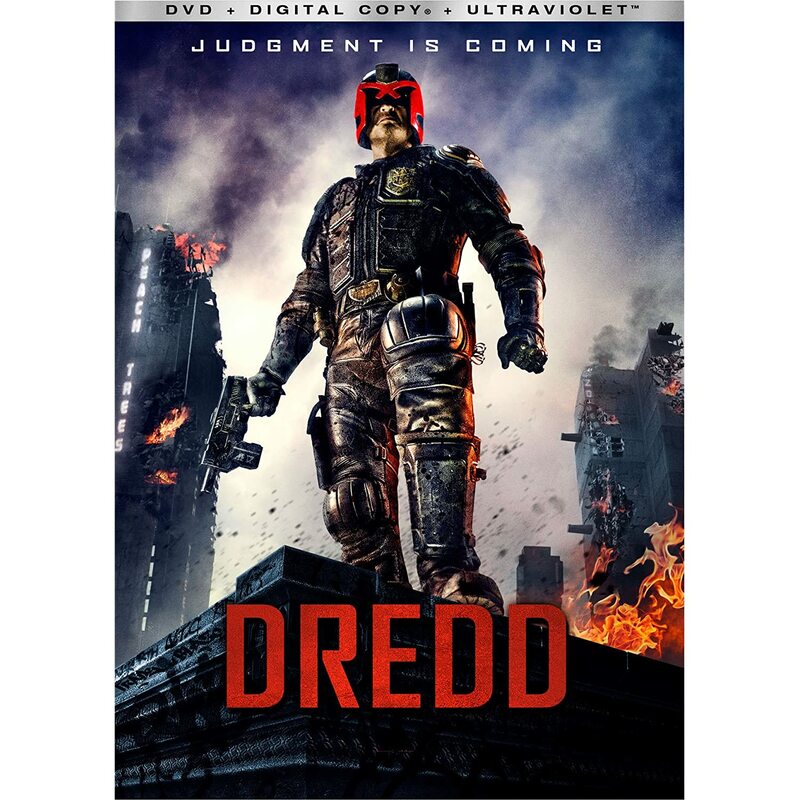 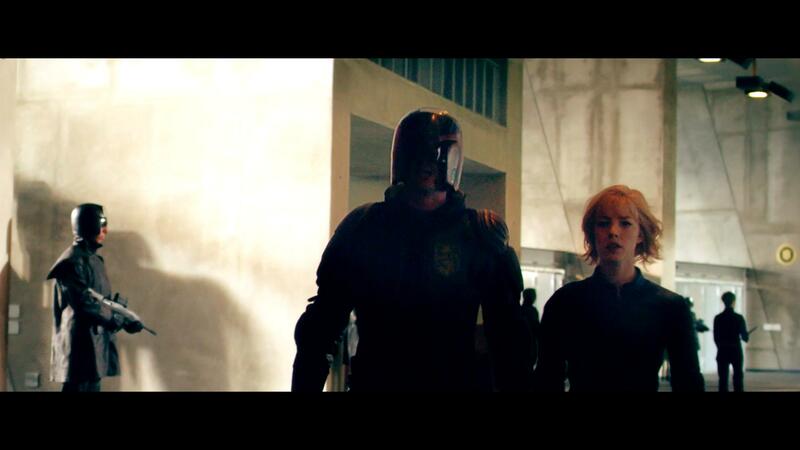 Set in a futuristic city beset by violence, Judge Dredd (Karl Urban) teams up with a rookie cop to take down dangerous drug lord Ma-Ma (Lena Headey) holed up at the top of a tower block full of criminals. 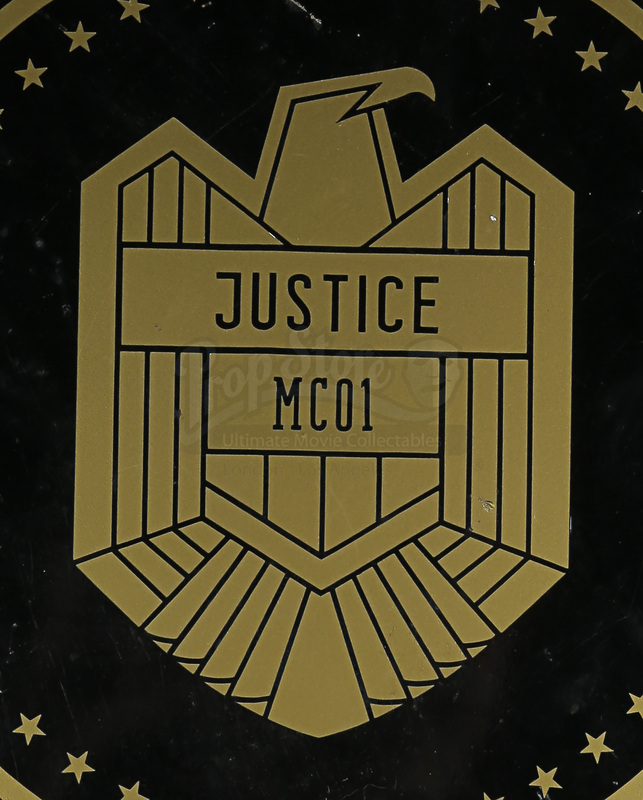 This circular sign was made for use as part of the elaborate Halls of Justice set. 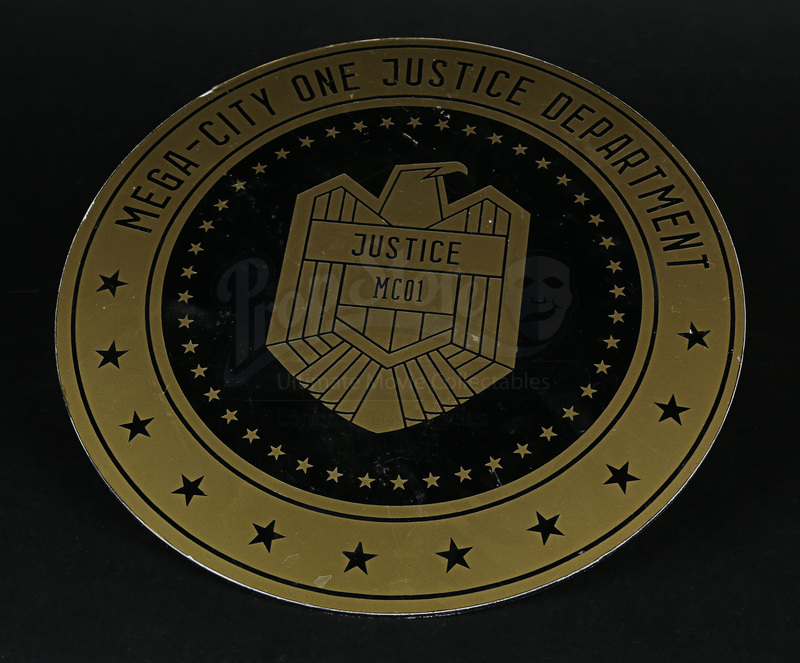 The piece is made of acrylic in the shape of a circle, which has been coated with vinyl appliques featuring a faux-gold and black eagle emblem surrounded by stars and text that reads ‘Mega-City One Justice Department’. 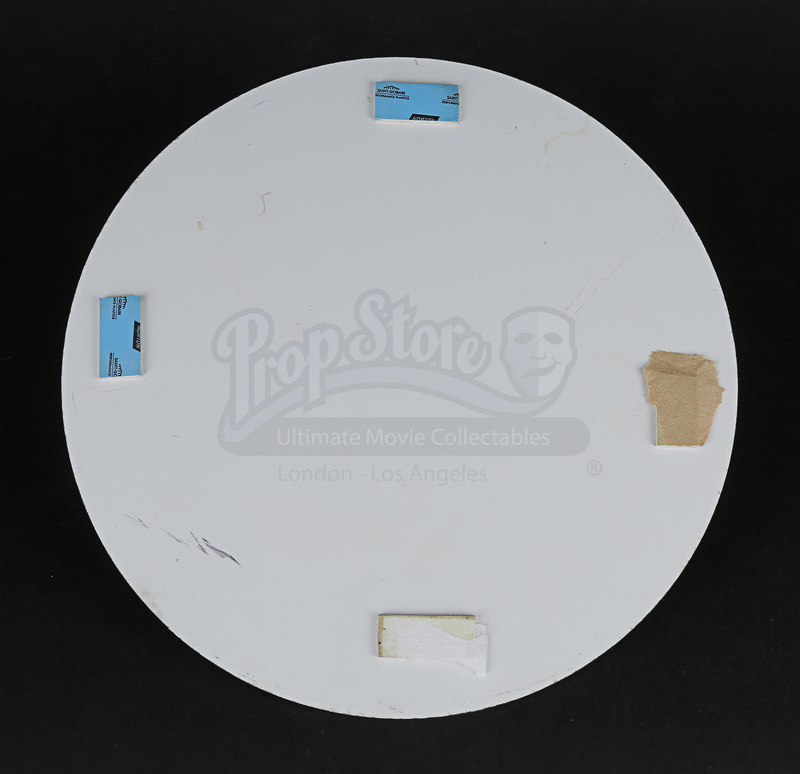 The reverse features a number of foam double-sided tape strips for application purposes. 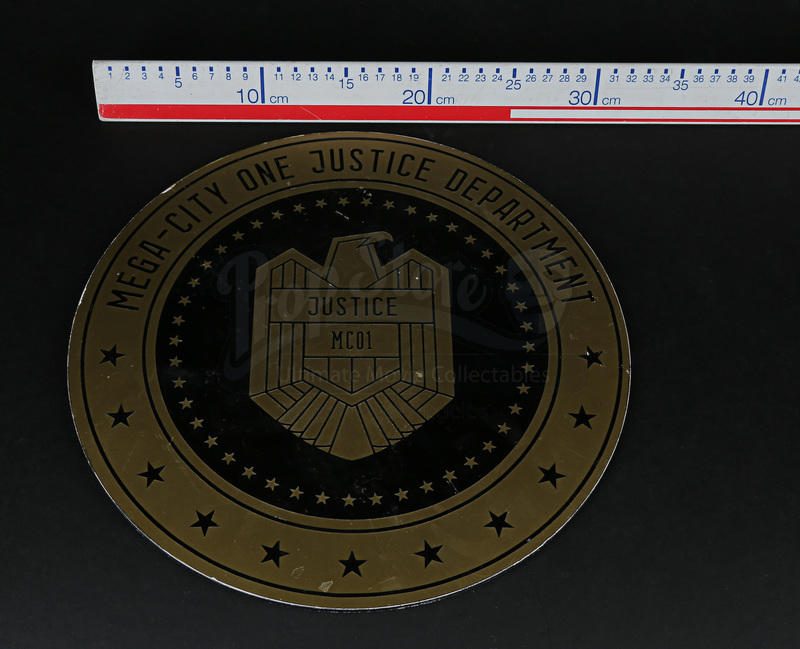 The sign features some damage to the vinyl applique and light surface scratches but remains in very good production-used condition.